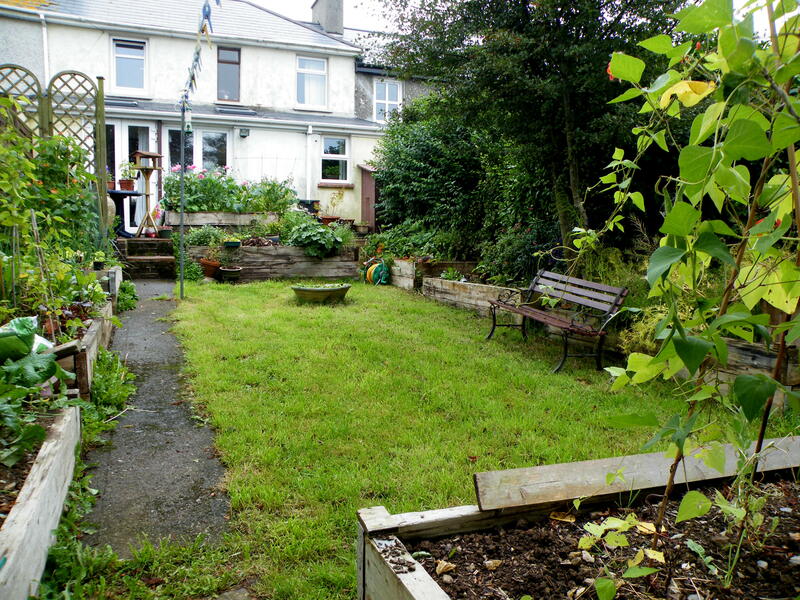 This was my garden before I started with the raised beds, the reason why I actually decided on raised beds was that because of all the trees the soil was difficult, full of roots and sunken. My garden sloops down towards the S.W. the soil was drying out too quickly too. But my garden was wild as I did not have time to work in it, I loved it’s wildness and thought that it was beautiful, but then I decided, that is when I retired, to grow vegetables organically (of course), and it is only last year then that I decided I would look at permaculture and go that way. Now there is a lot more light in the garden as we cut down some branches of the trees. There are five trees in my 300 square meter garden. 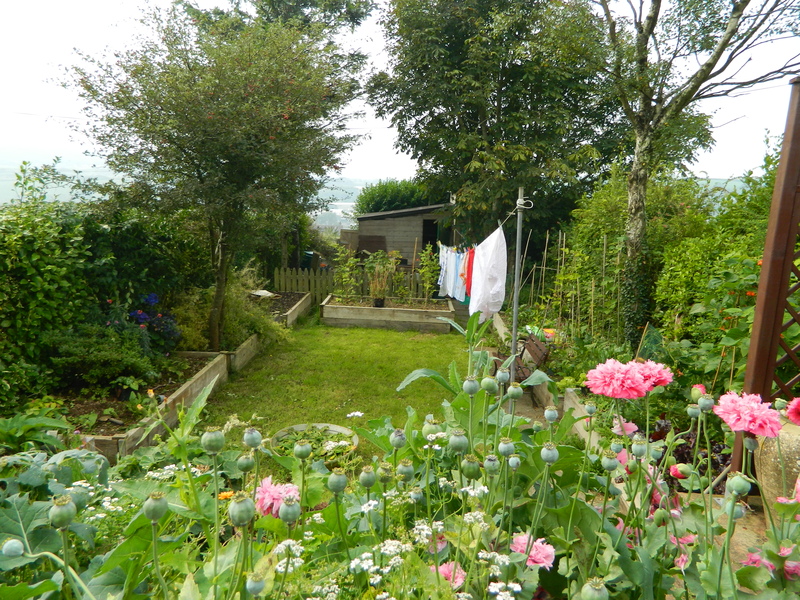 I am very happy with the raised beds some of which I still let wild plants grow in whenever they want and where they want, I just guide them along a bit. There is much more to learn and to apply, time will tell, a huge part of permaculture is watching your garden, observing and seeing what comes to grow where etc. It’s all very rewarding, seeds have been put down, and tonight I am attending a meeting of the local GIY group, about the community garden, there will also be a seed swapping, it should be interesting. So off I go. Really beautiful. Must be lovely looking out there, filling up with ideas and plans. I’ve been reading a lot about permaculture too. Such a different approach to my traditional way but I started integrating things last year and will continue. Yes I agree Cynthia, a lot to think about, and slowly to introduce into our gardens.